IVF using donated eggs brings great hope and joy to the donor as well as the intended parents. Our egg donation program is renowned for providing egg from healthy young women who have been closely screened to ensure their physical and mental health. Egg donation program coordinators thoroughly evaluate a potential egg donor’s health and lifestyle through an extensive testing and screening process. The most successful donors are young women who have consistently lived a healthy and active lifestyle. This thorough testing and screening process ensures only the best quality eggs being accepted for donation. High quality eggs will increase your chances of successfully conceiving a pregnancy and carrying a baby to full term. Once an egg donor has been matched, the menstrual cycles of the donor and recipient mother are brought in sync with fertility medications. When mature, the donor’s eggs are collected via surgical retrieval and fertilized in vitro with sperm. 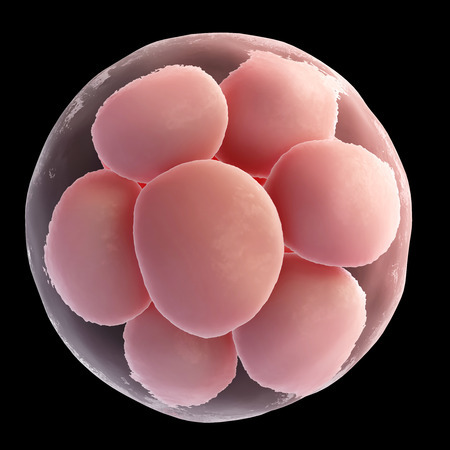 The resulting embryos are then graded for quality during in vitro development before being transferred to the intended mother’s uterus. It is important to work with a fertility doctor having the research and clinical experience required to design a customized IVF using donor eggs plan meeting your personal and medical needs. To schedule your initial consultation with Dr. John Zhang at New Hope Fertility Center, click the icon below – or – call 917.525.5496.